Though the problem peaked in the post-recession era, the tri-state area is still plagued by residential foreclosures. 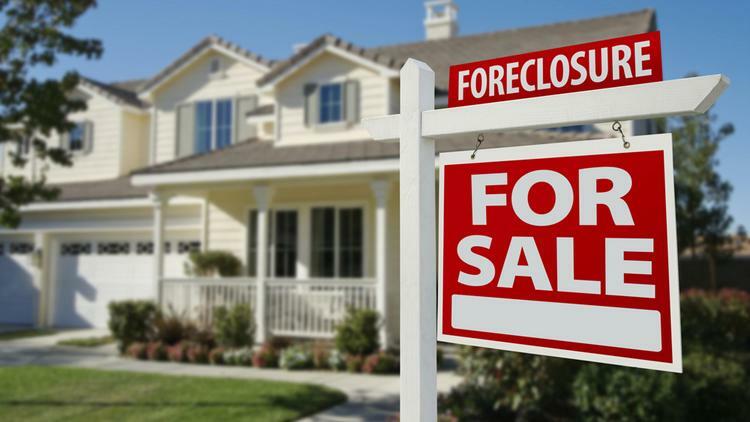 New Jersey and Delaware continue to be the states with the highest foreclosure rates, while Atlantic City, Trenton and Philadelphia top U.S. metro areas in that dubious category, according to Calif.-based ATTOM Data Solutions, which curates national foreclosure data. Nationwide, one in every 706 U.S. housing units had a foreclosure filing in the first quarter of 2018. Filings increased by 4 percent from the fourth quarter but were still down 19 percent from a year ago and are 32 percent below the pre-recession average. Among 219 metropolitan statistical areas with a population of at least 200,000, those with the highest foreclosure rates in the first quarter were Atlantic City (one in every 113 housing units with a foreclosure filing); Trenton (one in 198); Philadelphia (one in 284); Columbia, S.C. (one in 311); and Fayetteville, N.C. (one in 321). Along with Philadelphia, other major metros with a population of at least 1 million and foreclosure rates in the top 25 highest nationwide included Cleveland at No. 6, Baltimore at No. 10, Chicago at No. 11, Riverside-San Bernardino in Southern California at No. 20, New York-Northern New Jersey at No. 22, Birmingham, Ala. at No. 23, and Las Vegas at No. 25. There is a bit of a silver lining in the data, particularly in New Jersey, where the pipeline appears to finally be moving cases along after several years of stalling. A backlog was created via a 2010 foreclosure moratorium and traumatic events like Superstorm Sandy and the collapse of the Atlantic City casino industry. First quarter foreclosure starts declined in Atlantic City by 14 percent from the same year-ago period though they rose by 4 percent in the Philadelphia metro area. Daren Blomquist, senior vice president at ATTOM, said in both Pennsylvania and New Jersey, the percentage of foreclosure inventory coming from loans made prior to the housing crisis in 2008 have declined significantly. An analysis of foreclosure activity by loan origination year shows that 45 percent of all U.S. properties in foreclosure as of the end of the first quarter were tied to loans originated between 2004 and 2008, down from 50 percent as of the end of the prior quarter and down from 51 percent in the same period of 2017. In New Jersey, just below 50 percent of properties in foreclosure are linked to loans originated between 2004 and 2008, and in Pennsylvania, it was just 38 percent.